Emily Milling is a producer living in Toronto. Growing up in Oshawa, Emily studied music, theatre and filmmaking in the O’Neill C.V.I. performing arts program. 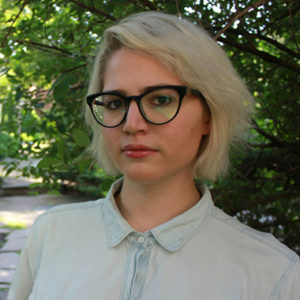 Emily has also produced several podcasts including the live radio play “VRMP Radio Presents: The Five People You Meet In Hell” and “Her Name Is,” a podcast about creative women in the GTA.